Door County is an incredible place to own a business, and what better time than now? 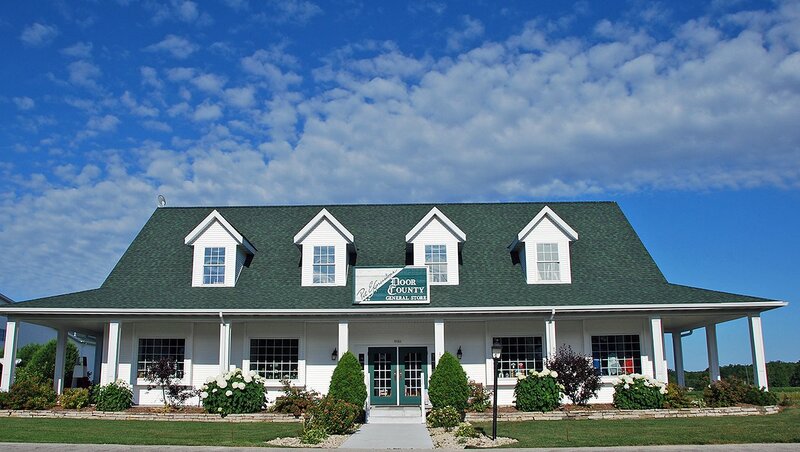 The beautiful, spacious building and property on Hwy 42 in Carlsville that recently housed Door County General Store and Pet Expressions has recently been added to the local real estate market. The 4,151 sq. ft. unit includes retail space, storage, and a full apartment on the second floor. Built in 1997, the beautiful building is in immaculate condition with solid wood accents and floors, unique details, and timeless architecture. For 22 years, Verna Kreutz ran her two very successful businesses in Carlsville, and then made the difficult decision to retire at the end of 2018. Her incredible building couldn’t be in a more perfect Door County setting. Located between two already popular and successful year-round businesses, Door County Coffee & Tea Co. and Door County Candle Co., and across the street from the bustling year-round businesses Door Peninsula Winery and Door County Distillery, this structure is all about location, location, location and has great traffic flow. 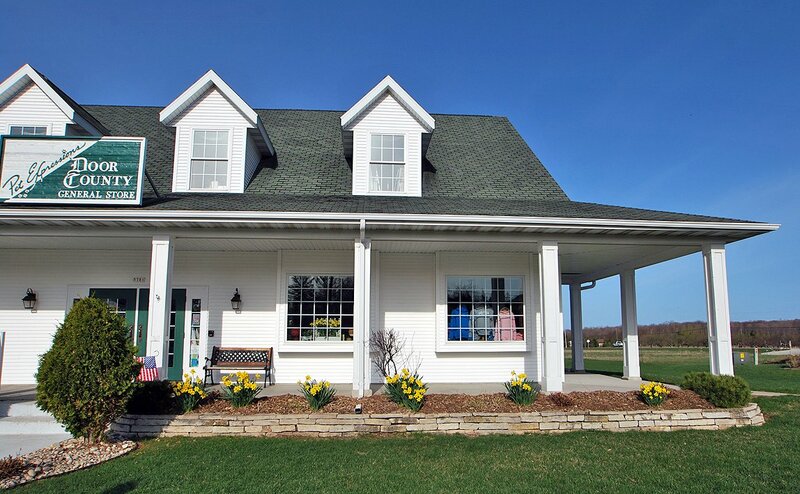 It’s located right on Hwy 42, halfway between busy, year-round Sturgeon Bay and beautiful, up-and-coming Egg Harbor. The retail space alone has 1,962 sq. ft., with a total of 2,359 sq. ft. on the first floor overall. Verna points out that she ran two separate businesses on the first floor, but it could also easily work as a single larger business concept. The upstairs apartment is completely private and separate, with a common back entrance to the store area. The apartment has one bedroom, one bathroom, a full kitchen and living space. There is also an equal amount of non-built space that Verna used for retail storage, but notes that another bedroom and bathroom could also easily be added. There are also washer and dryer hookups, and the entire building sits on 1.5 acres. Here’s an idea of the type of businesses Verna successfully ran in this building for 22 years: Door County General Store had a fabulous selection of Door County souvenirs, clothing for all ages, seasonal items, kids items, beautiful jewelry, candy and snacks, garden décor, gifts for men and women – just about every product you could possibly imagine in a tourism-focused general store. The accompanying retail store was Pet Expressions, which offered unique gifts for both pet lovers and their pets. 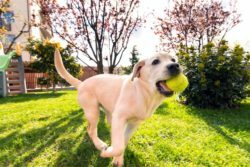 Pet coats and sweaters for your cat or dog, sports-related items, toys, treats, and breed-specific keychains, ornaments, picture frames and wall hangings were just some of the popular items. Verna always spent a lot of time and effort personally choosing the items her customers appreciated and returned for, year-after-year. This business opportunity is located at 5781 Hwy 42 in the Carlsville Marketplace. List price is $495,000. Interested? Please call Michael Schwantes with Creative Business Services at 800.366.5169 or 920.432.1166.